The Youth Group (grades 6 – 12) meets regularly on the first and third Friday of each month (usually at 7:00 p.m. in the Large Hall). The High school members of the Youth Group meet additionally on the second Friday of each month (7:00 p.m. in the Large Hall). The Youth Music Group rehearses regularly on all Fridays with exception of the first Friday of each month (usually at 6:00 p.m. in the Church). 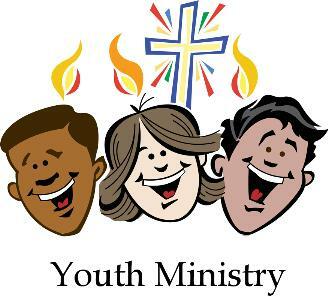 Youth Music Group usually provides music for the 5:00 p.m. Mass on the first Saturday of the month (October to June).